North Carolina laws about property division after divorce or separation are based on the simple principle that a couple’s assets should be divided between them fairly. In practice, however, there are numerous legal complications that can arise in these situations. Many of these complications stem from disputes about what property can be considered shared (also called marital property) and what is separate. 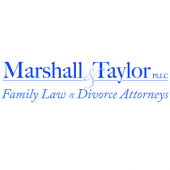 If you have any concerns about protecting your assets during a divorce, you need an experienced Raleigh marital and separate property attorney working for you. At the [firm-name] we are ready to defend your rights aggressively, whether out of court or before a judge. Call our offices today at 919-833-1040. The default method of property distribution is equal, meaning a 50/50 split of property between the parties. However, this is not always fair, especially if one or both parties own separate property. This is property that belongs only to you; your spouse does not have a right to own it or take half its value. As a general rule, most other assets will be considered marital property. However, depending on the details of your married life and current situation, many other assets may be considered separate. For example, economic misconduct will be considered when property is distributed. Economic misconduct is the misuse of marital property or actions that lower the value of your separate property. A Raleigh separate and marital property lawyer can protect your rights during this complex legal process. Raleigh marital and separate property lawyers [firm-name], will give your case the careful attention it needs. Contact us today at 919-833-1040.